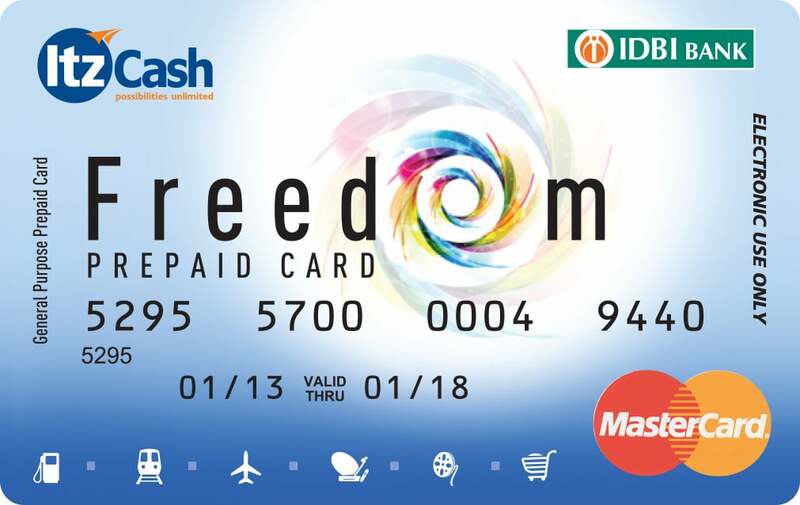 The ItzCash co-branded Prepaid Card (enabled by Visa and MasterCard ) in association with Banking Partners, delivers a simple and efficient payment solution for customers. The Visa and Master Card enabled prepaid cards have much to offer than just a simple card. ItzCash introduced India’s First Network Partnered Prepaid Card in association with HDFC Bank, IDBI Bank and DCB Bank. The introduction of these products has empowered convergence to the young and non-banked population of the country. The co-branded Prepaid Cards are purchased by customers (Not below the age of 18) who fulfill the basic KYC Documents at ItzCash World Outlets. The card is similar to a prepaid mobile phone card concept that works on “pay now & use at your convenience”. The card is ready to be used only when the customer submits all the KYC Documents. Money up to a cumulative load of Rs. 50,0000 (as per Reserve Bank of India guidelines) can be loaded onto a reloadable card via direct deposit of pay. Consumers can also load money onto their cards through ItzCash World Outlets by giving cash to the outlet operator to load onto the card. These cards can be used wherever the designated payment brand (Visa and MasterCard) is accepted and also for specific purposes like paying utility bills online, shopping, booking railway tickets, etc. The cards without a bank account offer consumers the convenience, security and utility of a branded card for a range of needs—from general everyday spending to specific payments or uses. The card provides an easy entry point into the financial mainstream to underserved individuals who might not have traditional banking relationships, allowing them to pay for purchases and bills, shop online and by phone or obtain cash at ATMs when they otherwise could not. 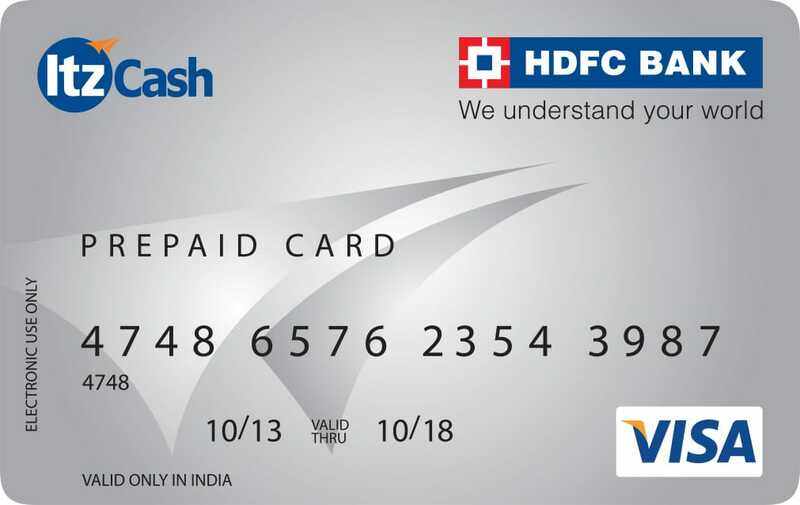 The HDFC Bank ItzCash Prepaid Card works on a simplistic prepaid module that lets you store money safely and also control or tabulate how much you spend. It is the secure way of carrying and managing cash, without opening a bank account. The IDBI Bank ItzCash Prepaid Card empowers the customer and provides him control and convenience to use the card securely at online merchants, retail merchants (equipped with a point of sale terminal) and at ATMs once the customer fulfills the general conditions while applying for the card.